Nashawannuck Pond was originally created in 1847 by the Williston - Knight Button Company to answer the need for an abundant, steady water source by area industrial mills. By damming three tributaries in Easthampton, Massachusetts - the Broad Brook, White Brook and Wilton Brook, the mills thrived. The pond was named after Samuel Williston's company, The Nashawannuck Manufacturing Company, makers of the popular "elastic suspenders". Samuel Williston also founded the Williston-Northampton School, a private school located near the town center. 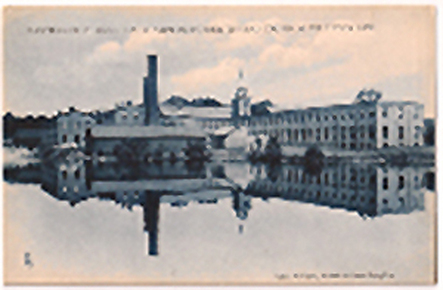 In the late 19th and early 20th century, workers living in the New City area of Easthampton walked from their homes to the factory buildings by crossing a foot bridge over the Lower Mill Pond. Many of the piers are still visible today. The pond was the hub of activity for many families who grew up enjoying the pond for fishing, ice skating, boating and swimming. The pond was eventually purchased by the town of Easthampton and a steering committee formed to oversee its future.